With all the snow lingering around in Middlesex, Mercer and Somerset Counties, it’s hard to think about Springtime cleaning for your roof. A dirty job, but a necessary one, gutter cleaning is a required step in your Central NJ roofing spring cleaning protocol. Dirty gutters can seriously cut the lifespan of your roof so it’s important to clean them out at least one to two times a year and more often if your property is filled with large trees and falling branches. By cleaning the gutters, you can prevent overflow and the breakdown of shingles in the area. To perform the job properly and efficiently, you will need a steady ladder and a garden trowel. 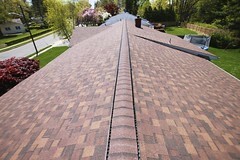 If you feel at all nervous about doing the job safely, you should contact a qualified Central NJ roofing professional. You can remove large chunks of debris by hand, but it will require more time and effort to achieve the same results you would get from an expert. Make sure to check the entrances and exits of the downspouts, which are easily neglected. After removing the buildup, it is recommended to power wash the gutters to eliminate any excess buildup. For preventative maintenance for your Central NJ roofing, if you see any hanging trees or branches, keep them trimmed to maintain the life of your roof. Keep the trees and branches away from your gutters as well. 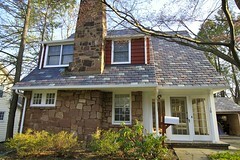 Most likely your Central NJ roofing spring cleaning project will require some minor shingle repair. When on the roof, examine your shingles for any missing areas or grain loss or any protruding nails. The grains on your shingles are there for protection from the weather elements and if the shingles appear smooth (losing grain), it is time to replace them. You also may see sand in your gutter, which is further evidence of the grain loss. When you replace a shingle, don’t pull on it abruptly. Carefully remove it and the few surrounding it as well. Place the new shingles into place and fasten them with nails. Cover the nails with roofing cement which provides a seal to eliminate water damage. 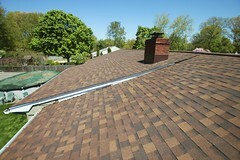 It’s also important to weigh the shingle down for at least 24 hours so a tight seal is formed. This is an important step in your Central NJ roofing spring cleaning project. If your shingles are dirty, but not in need of replacement, remove the dirt and debris carefully. You should never power wash the shingles because the pressure can remove the protective layer. You can purchase inexpensive moss remover solutions if moss is your problem and use a long stick or broom to remove the moss. Flashing refers to the metal strips used to prevent water from penetrating through and under the shingles. Strong weather conditions such as wind or snow can loosen the strips. Inspect the flashing on your roof especially in locations where water damage is heightened such as a skylight or a chimney. For minor flashing issues, you can use roof fasteners to re-attach any loose strips and roof cement to seal tack holes. For major flashing problems with your roofing, contact a qualified professional. The above is not an exhaustive list of Central NJ tips for Spring cleaning your roof, but just as start. 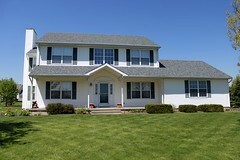 For whatever your roofing needs are, Biondo Contracting can help you.